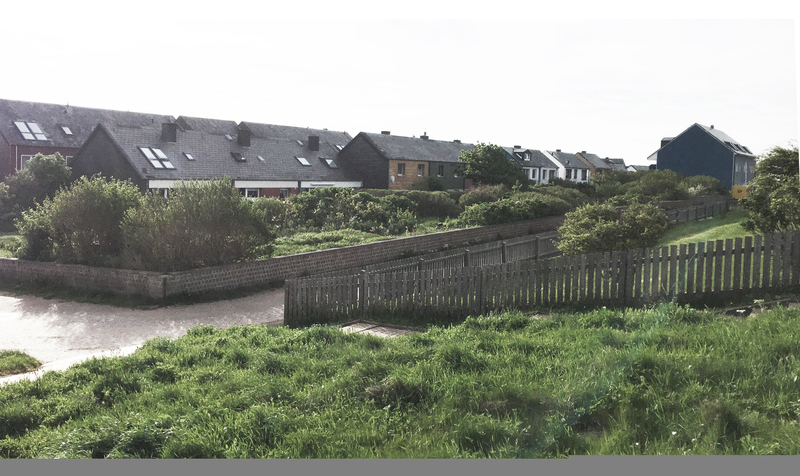 Approximately 60 metres above the ocean, offering future residents amazing views out over the North Sea, lies the site for these 68 new houses on Helgoland. The project is designed to be highly environmentally and climate friendly. The timber buildings will be constructed from renewable materials, using prefabricated building technology. Manufactured in a factory on the mainland, this construction technique ensures a very high standard of finish and quality, while also being economical on material use, reducing wastage. 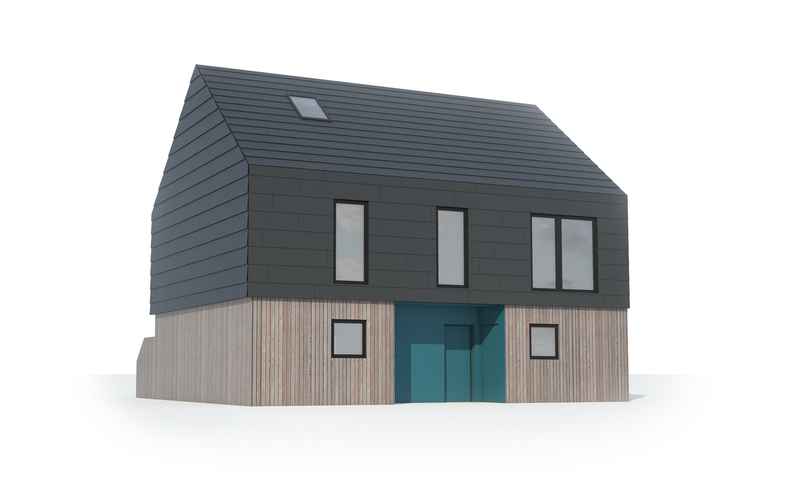 The design of the houses also ensures that they will have a low energy consumption when lived in, meaning that that CO2 emissions are minimised in both the construction and lifespan of the buildings. This will also be in line with Helgoland’s ambitious objective to become a zero-emission island. Conceptually the project builds on the existing identity and cultural heritage that has characterised the area since World War II; building typologies defined by sloping roofs and coloured elevations. 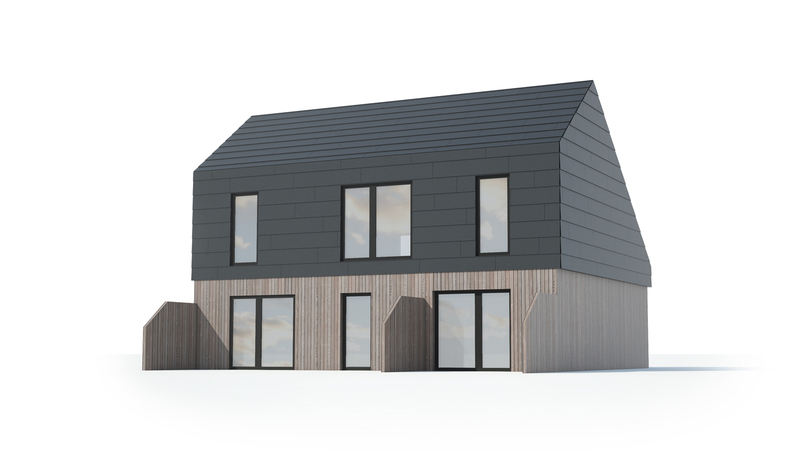 This rich architectural heritage has been reinterpreted in our project by making simple houses with pitched roofs and wooden facades. 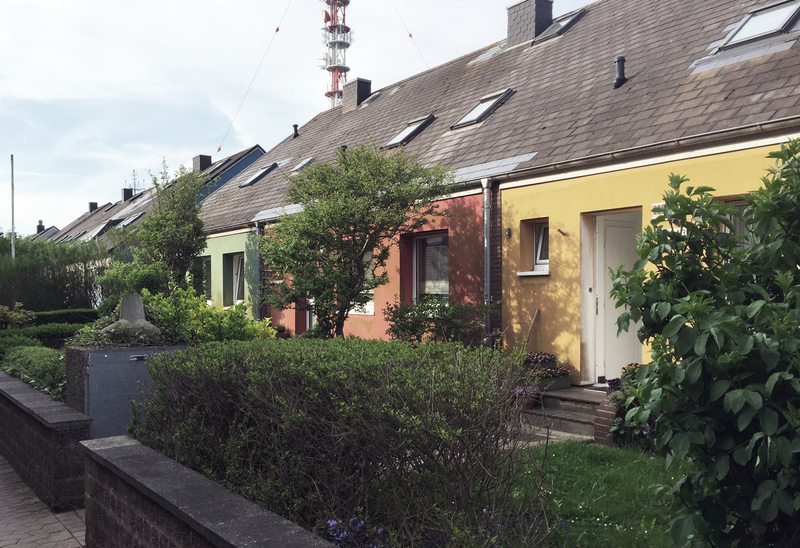 With its carefully restrained composition of colours, the proposed buildings complement the colour scheme that is already so much part of the island's existing architecture. The result will be a refined and contemporary residential project which is comfortable in the context of the island's existing buildings.